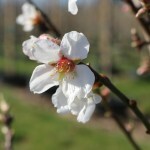 The most popular almond for the home orchard. It produces heavy crops of soft-shell nuts with sweet, flavorful kernels. 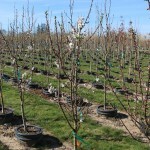 The tree is very winter and frost hardy, but requires a hot summer to ripen. It is self fertile. Almonds need full sun and a well-drained soil.